Since 2002, E2W have supported women in their financial services careers and enabled Financial Institutions to gain the benefits of a more diverse workforce. 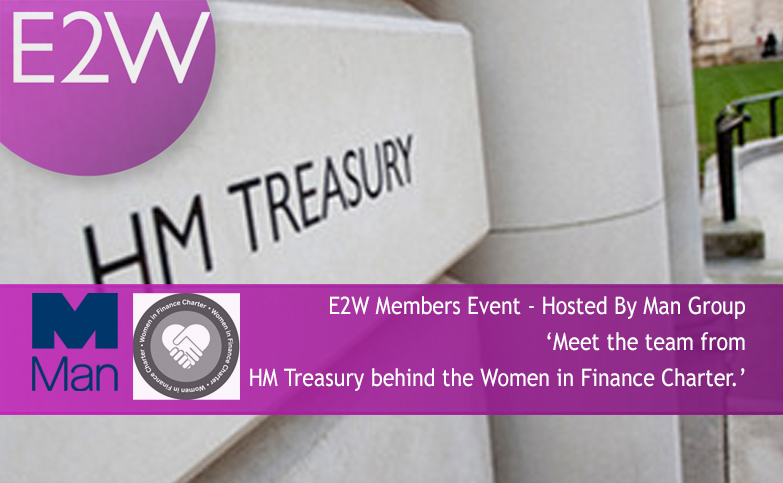 E2W’s community now boasts 10,000 women working in senior positions in financial services in London. By becoming members, they have been able to progress, continue or return to their careers and benefit from our coaching services and learning and development events which provide opportunities for personal growth. Opportunities to advance their careers come from our partnerships with leading firms who, with our help, are best placed to support our members to succeed and flourish, achieving their career aspirations. We are also called upon to represent the views and interests of our members to government and other interested parties and have long been active participants in the Women in Finance Charter and the Treasury Select Committee’s inquiry into women in finance. Recognising the business and social case for improved gender diversity within their firms, financial institutions come to E2W to help them attract, recruit, retain and enable more women to flourish, fulfilling their career ambitions. E2W offer a range of distinct services to our committed client base. Attracting –Being an attractive place for women to pursue careers and being known as one are not always the same thing. E2W help you attract the best by developing and telling your diversity story. Recruiting - Our recruitment services give committed financial institutions access to our community, the largest pool of senior female talent in the industry. Retaining and Flourishing – We help our clients to retain more female employees by supporting them to implement positive and inclusive culture and working practices that create a flexible and supportive environment where everyone can contribute, be recognised and reach their full potential. Firms where people can bring themselves to work and succeed on merit. We recognise and celebrate leaders and enable firms to understand their strengths and weaknesses via our benchmarking services.